Gilboa, T.; Zvuloni, E.; Zrehen, A.; Squires, A.H.; and Meller A. Automated, Ultra-Fast Laser-Drilling of Nanometer Scale Pores and Nanopore Arrays in Aqueous Solutions. Adv. Funct. Mater. 2019, 1900642. 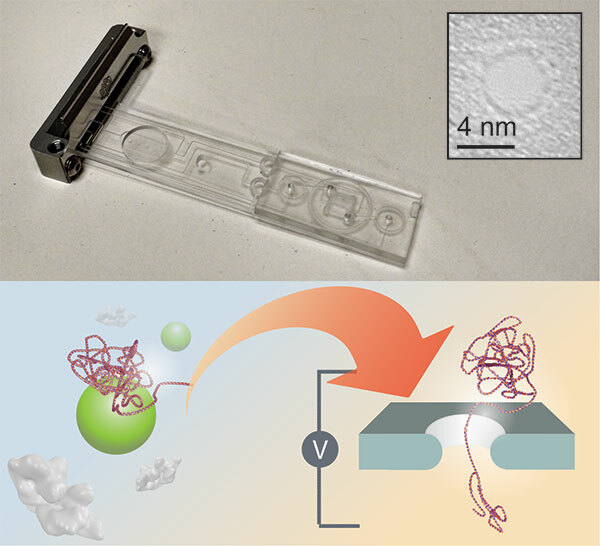 A Solid‐State Hard Microfluidic–Nanopore Biosensor with Multilayer Fluidics and on‐Chip Bioassay/Purification Chamber. 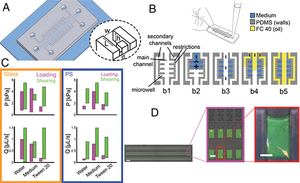 Varongchayakul, N.; Hersey, J. S.; Squires, A. H.; Meller, A.; Grinstaff, M. W. A Solid‐State Hard Microfluidic–Nanopore Biosensor with Multilayer Fluidics and on‐Chip Bioassay/Purification Chamber. Adv. Funct. Mater. 2018, 1804182. 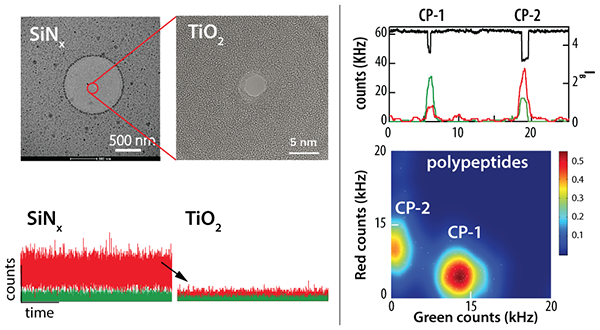 Gilboa, T.; Zrehen, A.; Girsault, A.; Meller, A. Optically-Monitored Nanopore Fabrication Using a Focused Laser Beam. Sci Rep 2018, 8, 9765. Varongchayakul, N.; Huttner, D.; Grinstaff, M. W.; Meller, A.. Sensing Native Protein Solution Structures Using a Solid-State Nanopore: Unraveling the States of VEGF. Sci Rep, 2018, 8:1017, 1-9. 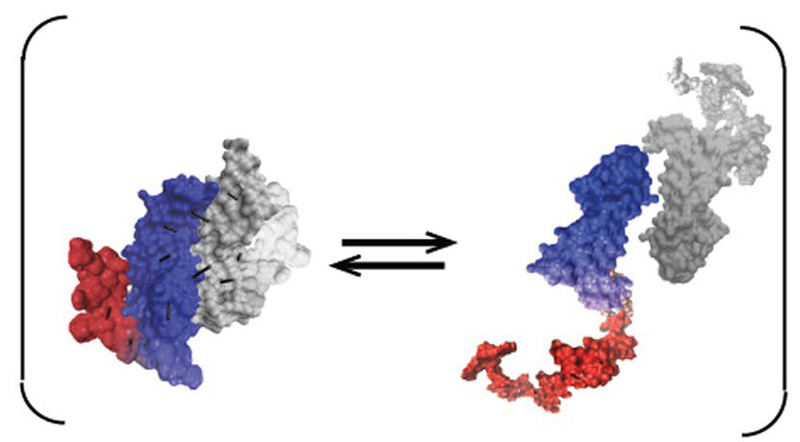 Single-Molecule DNA Unzipping Reveals Asymmetric Modulation of a Transcription Factor by Its Binding Site Sequence and Context. Rudnizky, S., Khamis, H., Malik, O., Squires, A. H.; Meller A ., Melamed,. Kaplan, A. (2017) Single-Molecule DNA Unzipping Reveals Asymmetric Modulation of a Transcription Factor by Its Binding Site Sequence and Context. Nuc. Acid Res. 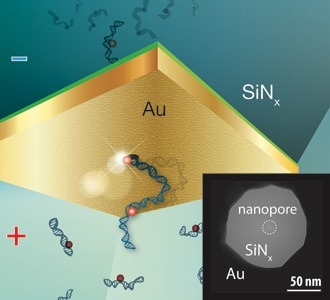 Light-Enhancing Plasmonic-Nanopore Biosensor for Superior Single-Molecule Detection. Assad, O. N.; Gilboa, T.; Spitzberg, J.; Juhasz, M.; Weinhold, E.; Meller, A. (2017) Light-Enhancing Plasmonic-Nanopore Biosensor for Superior Single-Molecule Detection. Adv. Mater., 1605442–1605449. Review - Squires, A. H.; Gilboa, T.; Torfstein, C.; Varongchayakul, N.; Meller, A. Single-Molecule Characterization of DNA-Protein Interactions Using Nanopore Biosensors; Methods in Enzymol. Part B, 1-33.; 2017, Elsevier Inc., ; pp. 1–33. Single-Molecule DNA Methylation Quantification Using Electro-Optical Sensing in Solid-State Nanopores. Functionalized Nanofiber Meshes Enhance Immunosorbent Assays. Squires, A., Atas, E. and Meller, A. Genomic Pathogen Typing Using Solid-State Nanopores, PLoS ONE. 2015, 10, e0142944. Nir, I., Huttner, D. and Meller, A. Direct Sensing and Discrimination among Ubiquitin and Ubiquitin Chains Using Solid-State Nanopores, Biophys. J. 108(9), 2015, 2340-2349. Squires, A., Atas, E. and Meller, A. Nanopore sensing of individual transcription factors bound to DNA, Sci. Rep. 2015, 5, 1-11. Anderson, B.N., Assad, O.N., Gilboa,T., Squires, A.H. Bar, D. and Meller, A. 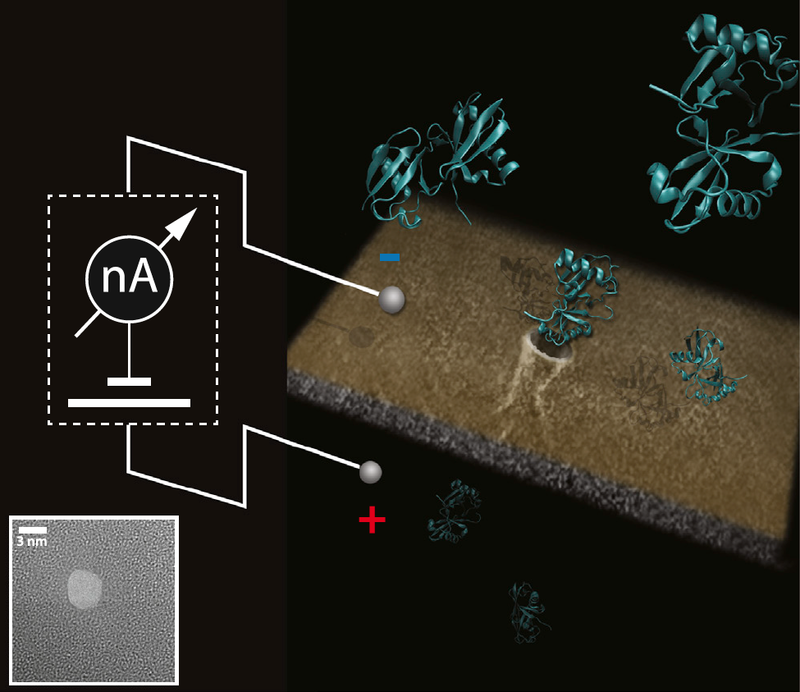 Probing Solid-State Nanopores with Light for the Detection of Unlabeled Analyte, ACS Nano, 2014, 8(11), 11836-11845. Shemesh, J., Ben Arye, T., Avesar,J., Kang,J.H., Fine,A., SuperM., Meller, A., Ingber, D.E. and Levenberg S. Stationary nanoliter droplet array with a substrate of choice for single adherent/nonadherent cell incubation and analysis, Proc. Natl. Acad. Sci. USA, 2014, 111(31), 11293-11298. Sun, Y., Atas, E., Lindqvist, L .M., Sonenberg, N., Pelletier, J. and A. Meller, Single Moleculae Kinetics of the Eukaryotic Initiation Factor 4AI Upon RNA Unwinding, Structure, 2014, 22(7), 941-948. Di Fiori, N. Squires, A. H, Bar, D., Gilboa, T. Moustakas, T.D. and A. Meller. Optoelectronic control of surface charge and translocation dynamics in solid-state nanopores, Nature Nanotechnology, 2013, 8, 946-951. Dela Torre R, Larkin J, Singer A, Meller A. Fabrication and characterization of solid-state nanopore arrays for high-throughput DNA sequencing. Nanotechnology. 2012, 23(38):385308. doi: 10.1088/0957-4484/23/38/385308. Epub 2012 Sep 5. Sun Y, Atas E, Lindqvist L, Sonenberg N, Pelletier J, Meller A. The eukaryotic initiation factor eIF4H facilitates loop-binding, repetitive RNA unwinding by the eIF4A DEAD-box helicase. Nucleic Acids Res. 2012, 40(13), 6199-207. doi: 10.1093/nar/gks278. Epub 2012 Mar 28. 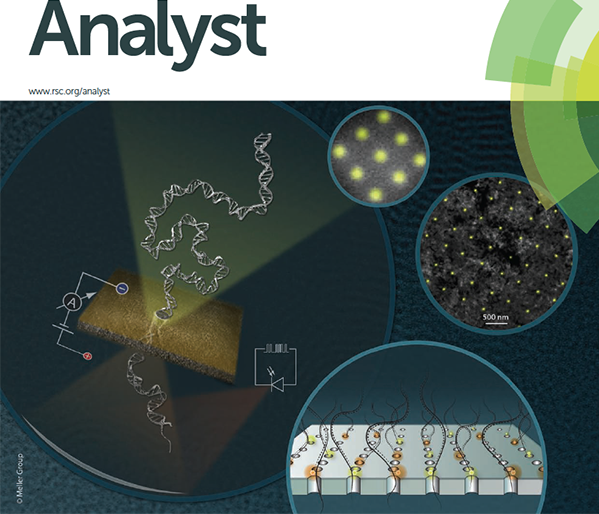 Lin J, Fabian M, Sonenberg N, Meller A. Nanopore detachment kinetics of poly(A) binding proteins from RNA molecules reveals the critical role of C-terminus interactions. Biophys J. 2012, 102(6), 1427-1434. doi: 10.1016/j.bpj.2012.02.025. Epub 2012 Mar 20. Singer A, Rapireddy S, Ly DH, Meller A. Electronic barcoding of a viral gene at the single-molecule level. Nano Lett. 2012, 12(3):1722-1728. doi: 10.1021/nl300372a. Epub 2012 Feb 24. Kim, M.-C., Isenberg, B.C., Sutin, J., Meller, A., Wong, J.Y., and Klapperich, C.M. Programmed trapping of individual bacteria using micrometre-size sieves. 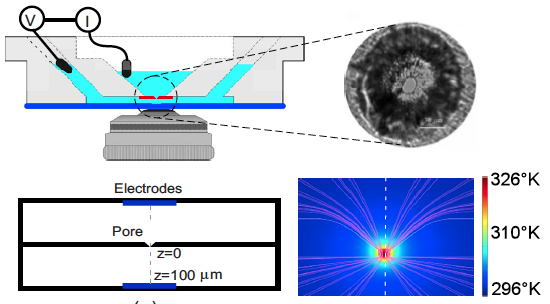 Lab on a Chip 2011, 11, 1089-1095.
Review - Squires A.H. and Meller A. DNA Capture and Translocation through Nanoscale Pores - a Fine Balance of Electrophoresis and Electroosmosis, Biophysical J. New and Notable, 2013, 105, 543-544.
Review - Singer A, McNally B, Torre RD, Meller A. DNA sequencing by nanopore-induced photon emission. Methods Mol Biol. 2012, 870:99-114. doi: 10.1007/978-1-61779-773-6_6. Review - Atas E, Singer A, Meller A. DNA sequencing and bar-coding using solid-state nanopores. Electrophoresis. 2012, 33(23):3437-47. doi: 10.1002/elps.201200266. Epub 2012 Oct 30. Livingstone, M., Atas, E., Meller, A., and Sonenberg, N. Mechanisms governing the control of mRNA translation. Phys Biol, 2010, 7, 021001. Singer, A., H. Kuhn, M. Frank-Kamenetskii, and A. Meller. Detection of urea-induced internal denaturation of dsDNA using solid-state nanopores J. Phys. Cond-Mat., 2010, 22, 454111. McNally, B., A. Singer, Z. Yu, Y. Sun, Z. Weng, and A. Meller. Optical Recognition of Converted DNA Nucleotides for Single-Molecule DNA Sequencing Using Nanopore Arrays. Nano Letters, 2010, 10(6) 2237-44. Singer, A., Wanunu, M., Morrison, W., Kuhn, H., Frank-Kamenetskii, M., and Meller, A. Nanopore-based sequence-specific detection of duplex DNA for genomic profiling. Nano Letters. 2010, 10, 738-742. Soni, V. G., Singer, A., Yu, Z., Sun, Y., McNally, B. and Meller, A. Synchronous optical and electrical detection of bio-molecules traversing through solid-state nanopores. Rev. Sci. Instru. 2010, 81, 014301-014307. Wanunu, M., Morrison, W., Rabin, Y., Grosberg, A. Y. and Meller, A. Electrostatic Focusing of Unlabeled DNA into Nanoscale Pores using a Salt Gradient, Nature Nano. 2010, 5,160-165. Viasnoff, V., U. Bockelmann, A. Meller, H. Isambert, L. Laufer, and Y. Tsori. Localized Joule heating produced by ion current focusing through micron-size holes. Appl. Phys. Lett. 2010, 96, 163701-163703.
Review - Singer, A. and A. Meller. (2010). Nanopore-based Sensing of Individual Nucleic Acid Complexes. Israel Journal of Chemistry 49:323–331. Review - Dudko, O., Mathé, J. and Meller A. 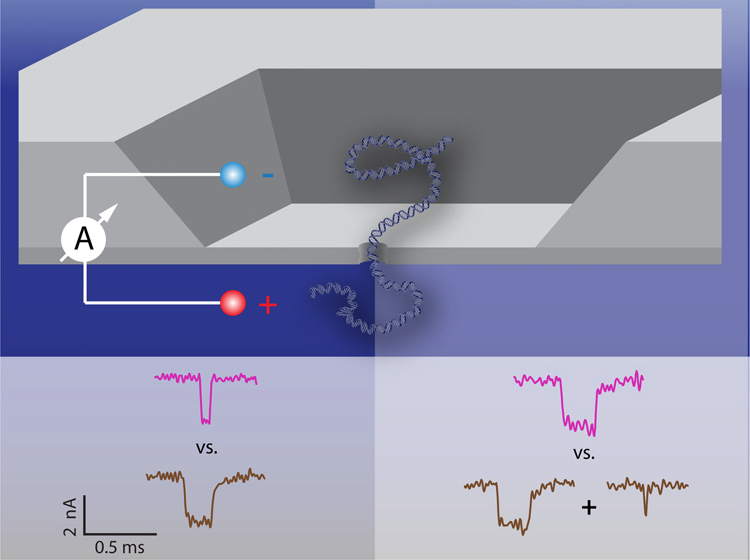 (2010) Nanopore Force Spectroscopy tools for analyzing single biomolecular complexes, In Methods in Enzymology Ed. Walter, N.
Review - Wanunu, M. Soni, G. and A. Meller. Analyzing Individual Biomolecules Using Nanopores, in the “Handbook of Nanophysics” K.D. Sattler (Ed), 2010 Taylor & Francis Group. Valencia-Burton, M. Shah, A. Sutin, J. Borogovac, A., McCullough, R. Cantor, C.R. Meller, A. and Broude, N.E. (2009) Spatiotemporal patterns and transcription kinetics of induced RNA in single bacterial cells, Proc. Natl. Acad. Sci. U.S.A. 106, 16399-16404. Wanunu, M. Sutin, J. and A. Meller (2009) DNA Proﬁling Using Solid-State Nanopores: Detection of DNA-Binding Molecules, Nano Letters, 9, 3498-3502. 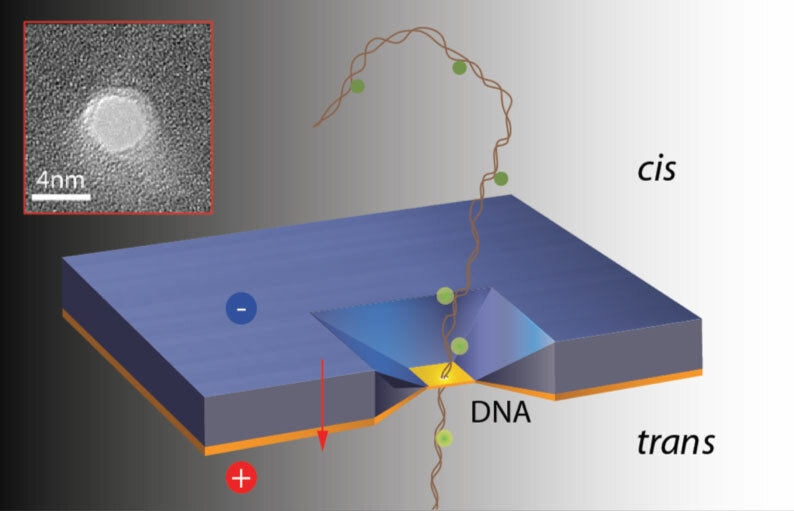 Wanunu, M. Sutin, J. McNally, B. Chow, A. and A. Meller (2008) DNA Translocation Governed by Interactions with Solid State Nanopores, Biophys. J. 95, 4716-25. McNally, B. Wanunu, M. and A. Meller (2008) Electro-mechanical unzipping of individual DNA molecules using synthetic sub-2 nm pores, Nano Letters, 8, 3418-22. 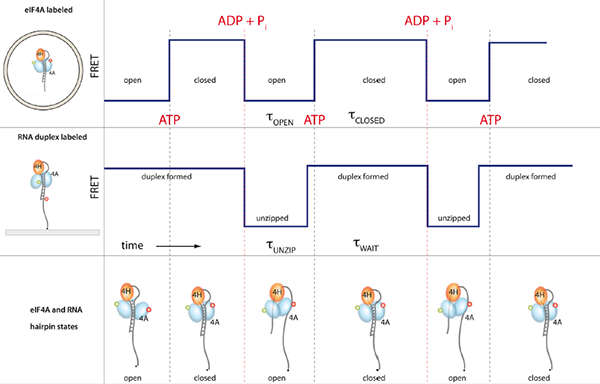 Wanunu, M. Chakrabarti, B. Mathé, J. Nelson, D. R. and A. Meller (2008) Orientation-dependent interactions of DNA with an a-Hemolysin Channel, Phys Rev. E, 77, 031904. Kim, M-J., B. McNally, K. Murata and A. Meller (2007) Characteristics of solid-state nanometer pores fabricated using transmission electron microscope (TEM) Nanotechnology, 18, 205302. 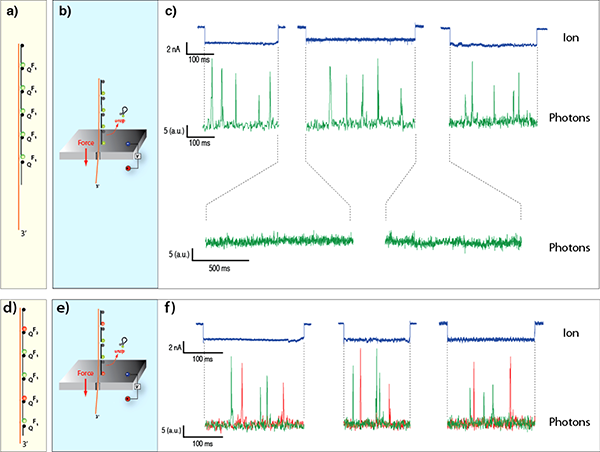 Dudko, O., J. Mathé, A. Szabo, A. Meller, and G. Hummer (2007) Extracting kinetics from single-molecule force spectroscopy: Nanopore unzipping of DNA hairpins, Biophys. J., 92, 4188-4195. Hornblower, B., A. Coombs, R.D. Whitaker, A. Kolomeisky, Picone, S.J., A. Meller and M. Akeson (2007) Single-Molecule Analysis of DNA-Protein Complexes Using Nanopores. Nature Methods, 4, 315-317 DOI: 10.1038/nmeth1021. Edel, J., J. Eid and A. Meller (2007) Accurate single molecule FRET efficiency determination for surface immobilized DNA using maximum likelihood calculated lifetimes. J. Phys. Chem B., 111, DOI: 10.1021/jp066530k. Kim, M-J., M. Wanunu, C.D. 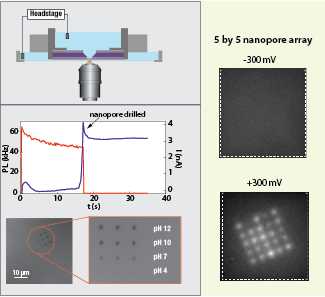 Bell and A. Meller (2006) Rapid Fabrication of Uniform Size Nanopores and Nanopore Arrays for Parallel DNA Analysis. Adv. Mater. 18, 3149-3153. Jan Bonthuis, D., J. Zhang, B. Hornblower, J. Mathé, B.I. Shklovskii and A. Meller (2006) Self-Energy-Limited Ion Transport in Subnanometer Channels. Phys. Rev. Lett. 97, 128104. Mathé, J., A. Arinstein, Rabin Y. and A. Meller (2006) Equilibrium and irreversible unzipping of DNA in a nanopore, Europhys. Lett. 73 (1), 128-134. 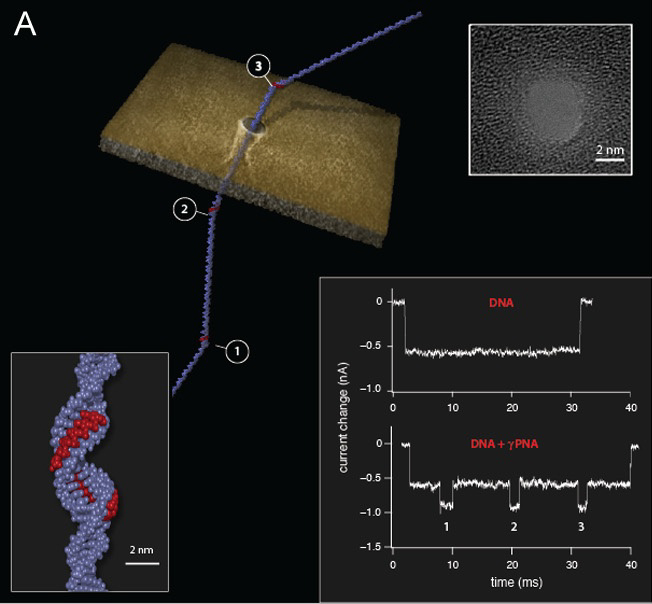 Viasnoff, V., A. Meller and H. Isambert (2006) DNA nanomechanical switches under folding kinetics control. Nano Letters, 6, 101-104. Sabanayagam, C.R., J.S. Eid and A. Meller (2005) Long time scale blinking kinetics of cyanine fluorophores conjugated to DNA and its effect on Förster resonance energy transfer. J. Chem. Phys. 123, 224708. Mathé, J., A. Aksimentiev, D.R. Nelson, K. Schulten and A. Meller (2005) Orientation discrimination of single-stranded DNA inside the alpha-hemolysin membrane channel. Proc. Natl. Acad. Sci. U.S.A. 102, 12377-12382. Sabanayagam, C.R., J.S. Eid and A. Meller (2005) Using fluorescence resonance energy transfer to measure distances along individual DNA molecules: Corrections due to nonideal transfer. J. Chem. Phys. 122, 061103. Mathé, J., H. Visram, V. Viasnoff, Y. Rabin and A. Meller (2004) Nanopore unzipping of individual DNA hairpin molecules. Biophys. J. 87, 3205-3212. Sabanayagam, C.R., J.S. Eid and A. Meller (2004) High-throughput scanning confocal microscope for single molecule analysis. Appl. Phys. Lett. 84, 1216-1218. 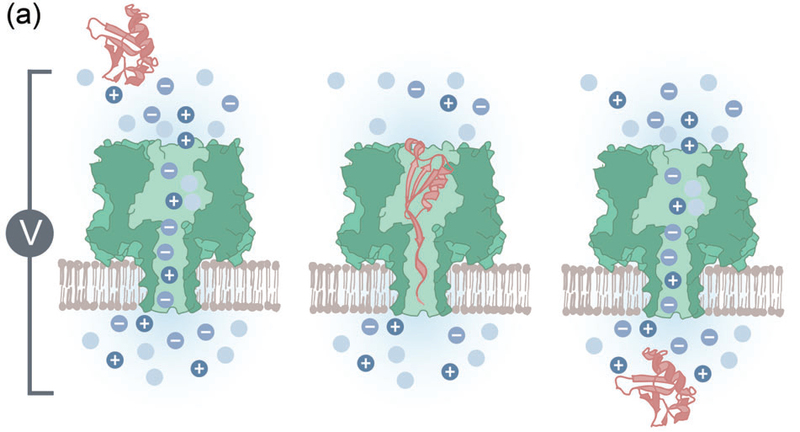 Bates, M., M. Burns and A. Meller (2003) Dynamics of single DNA molecules actively controlled inside a membrane channel. Biophys. J. 84, 2366-2372. Meller, A., L. Nivon and D. Branton (2001) Voltage-Driven DNA Translocations through a Nanopore. Phys. Rev. Lett. 86, 3435-3438. Meller, A. and D. Branton (2002) Single molecule measurements of DNA transport through a nanopore. Electrophoresis 23, 2583-2591. Meller, A., L. Nivon, E. Brandin, J. Golovchenko and D. Branton (2000) Rapid nanopore discrimination between single polynucleotide molecules. Proc. Natl. Acad. Sci. U.S.A. 97, 1079-1084.
Review - Dudko, O. and Meller, A. (2009) Probing Biomolecular Interactions Using Nanopore Force Spectroscopy. In Encyclopedia of Analytical Chemistry, Meyers, R. A., Ed. John Wiley & Sons Ltd.
Review - Branton D. et. al. (2008) The potential and challenges of nanopore sequencing, Nature Biotechnology 26, 1146-53.
Review - Wanunu, M. and A. Meller (2008) Single Molecule Analysis of Nucleic Acids and DNA-protein Interactions using Nanopores, Laboratory Manual on Single Molecules, Eds. P. Selvin and T. Ha, Cold Spring Harbor Press. Review - Lee, J.W. and A. Meller (2006). Rapid DNA Sequencing by Direct Nanoscale Reading of Nucleotide Bases on Individual DNA chains. In: Perspectives in Bioanalysis. K. Mitchelson (Ed. ), Elsevier. Review - Meller, A. (2003) Dynamics of polynucleotide transport through nanometre-scale pores. J. Phys. : Condens. Matter 15, R581-R607. Review - Branton, D. and A. Meller (2002) Using nanopores to discriminate between single molecules of DNA. 177-185 In: Structure and Dynamics of Confined Polymers, Kluwer Academic Publishers. Meller, A., J. Stavans, T. Gisler, and D.A. Weitz. (1999) Viscoelasticity of Depletion-Induced Gels in Emulsion-Polymer Systems. Langmuir 15:1918-1922. Tlusty, T., A. Meller, and R. Bar-Ziv. (1998) Optical gradient forces of strongly localized fields. Phys. Rev. Lett. 81:1738-1741. Meller, A., R. Bar-Ziv, T. Tlusty, E. Moses, J. Stavans and S.A. Safran. (1998). Localized dynamic light scattering: A new approach for dynamic measurements in optical microscopy. Biophys. J. 74:1541-1548. Bar-Ziv, R., A. Meller, T. Tlusty, E. Moses, J. Stavans and S.A. Safran (1997). 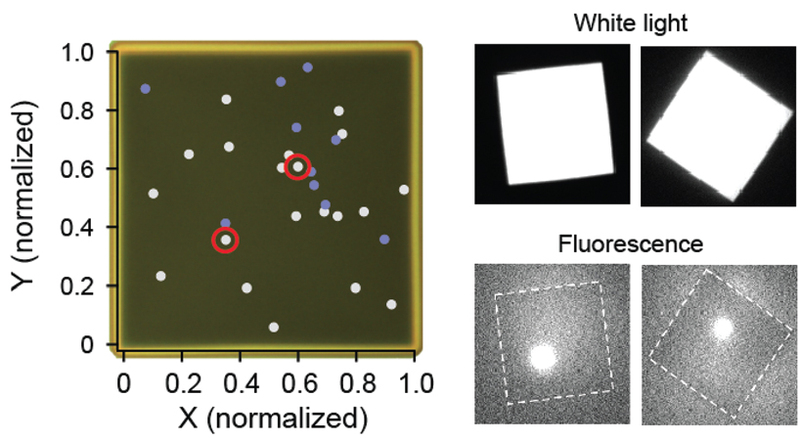 Localized Dynamic Light Scattering: Probing Single Particle Dynamics at the Nanoscale. Phys. Rev. Lett. 78:154-157. Steiner, U., A. Meller, and J. Stavans (1995). Entropy Driven Phase Separation in Binary Emulsions. Phys. Rev. Lett. 74:4750-4753. Meller, A. and J. Stavans. (1992). Glass transition and phase diagrams of strongly interacting binary colloidal mixtures. Phys. Rev. Lett. 68:3646-3649.